Johannesburg - Following a Cricket South Africa (CSA) and T20 Global League board meeting on Tuesday and in consultation with franchise owners, the inaugural T20 Global League has been postponed to November 2018. It is a decision that has rocked the South African cricket community after the hype that the organisation had created around the event. Just two weeks ago, CSA and their CEO Haroon Lorgat parted ways. Lorgat had been considered the mastermind of the T20 Global League product. CSA released a statement explaining how they came to the decision. While they did not give specific reasons, it has been reported that the lack of a lucrative broadcast deal and major sponsors had placed a heavy financial burden on the tournament, which was expected to run at a loss. 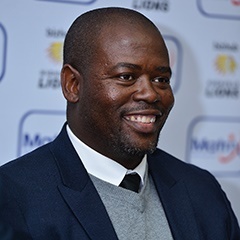 "We have not come to this decision lightly,” commented CSA Acting CEO, Thabang Moroe. "Having discussed it with all our stakeholders including the franchise owners, we believe that the interest of the league should be our first priority. We have re-assessed our strategy and believe that postponing the first edition of the T20 Global League to next year will serve us well. "We will regroup and come back stronger and better. At this time, we also wish to thank all the players, sponsors, broadcast partners, SACA (South African Cricketers Association) and FICA (Federation of International Cricketers) who have committed to the project. We appreciate the continued support of the individuals and organisations who have believed in this tournament." The franchise owners, according to the CSA statement, are in support of the decision. "Having discussed it with Mr. Moroe and Mr. Nenzani, we have arrived at a unanimous decision to defer the inaugural edition to next year. We believe it is in the best interest of the tournament to do so," said Osman Osman, owner of the Pretoria Mavericks.